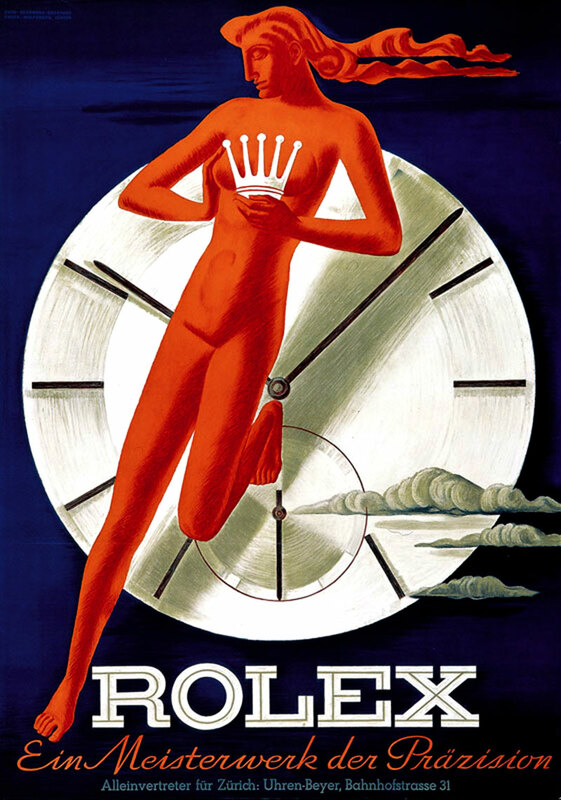 The poster below was printed in Switzerland between 1942 and 1945, and this particular poster was published by Beyer, which was the only Rolex Authorized Dealer in Zürich, Switzerland at the time. Beyer is still in business today, and they have been in business for over 250 years, making them one of the oldest jewelry storers in the world! The poster text is in German since Zürich's primary language is German. Rolex is headquartered in Geneva, Switzerland, where the primary language is French.